Gold central Cabin Lock supplied with 2 Keys. 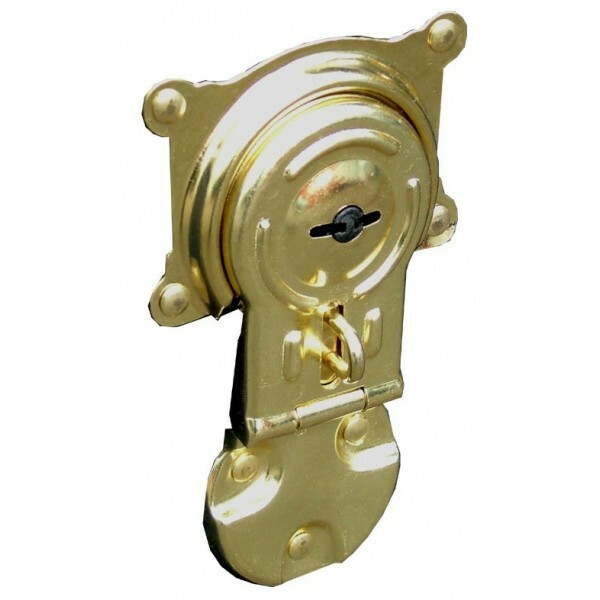 Gold central Cabin Lock supplied with 2 Keys. Supplied without fixings. Replacement locks for Mossman Trunks and other vintage style trunks.